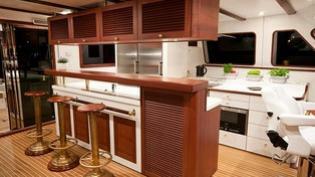 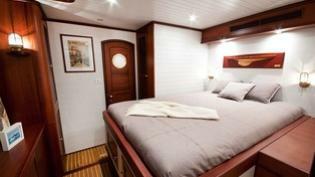 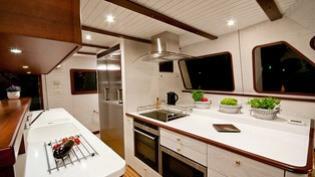 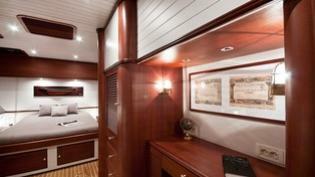 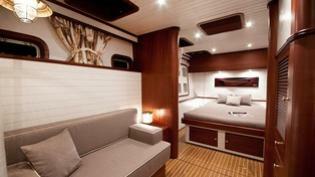 A truly classical boating interior was the inspiration for this custom made Sunreef 70 sailing catamaran. 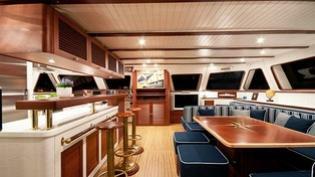 Everything on board OMBRE BLU 3 was completed by decorative elements made of brass coming from original passenger ships from former centuries. 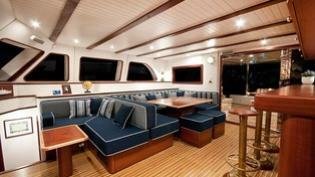 The bright and spacious saloon is offering guests expansive sea views while underway and scenic vistas at anchor. 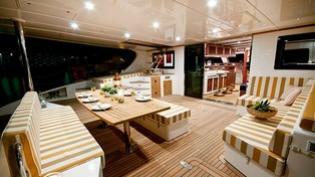 Various beautifully appointed dining choices for savoring the cuisine on board. 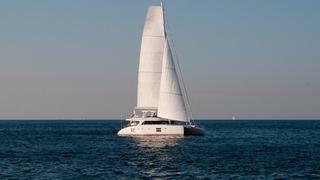 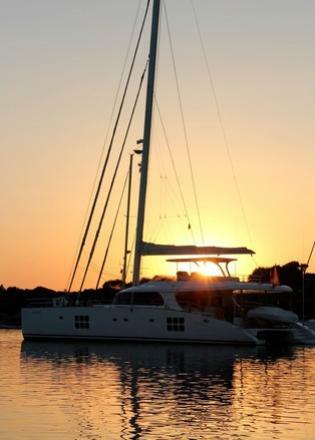 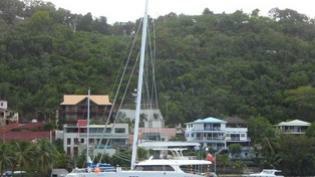 OMBRE BLU 3 carries a professional crew of 3, who are dedicated to creating the vacation experience of your dreams.